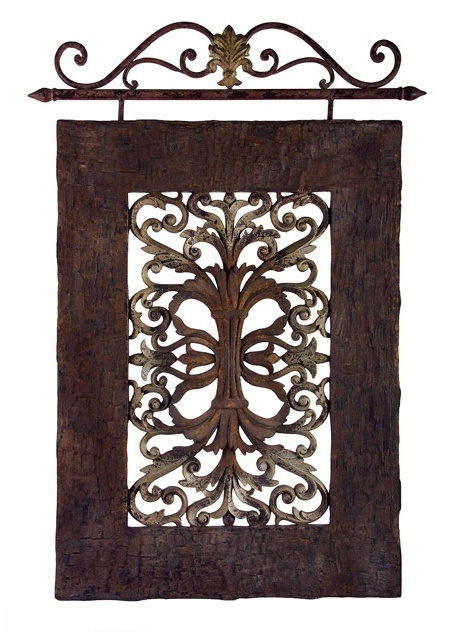 Give your interior that old world ambience with this wall hanging with that vintage look. This can give a room that classic appeal that speaks of fine living and style. 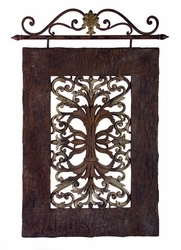 Constructed of iron and resin, it features a rustic brown finish that ensures unique appearance.